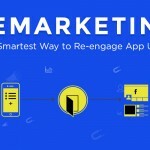 Also read—App Remarketing: The Answer to your Re-engagement Marketing Strategy. For more information on Facebook Remarketing, visit this link. You may also get a personalized demo or just connect with us and we will be happy to assist you.